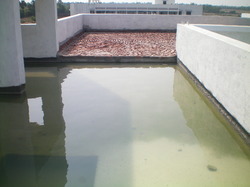 Prominent & Leading Manufacturer from Thane, we offer waterproofing chemicals and polymeric waterproofing. With the help of our experts we offer a huge gamut range of Polymeric Waterproofing which is manufactured using premium quality materials. We offer these products as per the need of clients in various water resistant applications for different purposes like concrete and mortar surfaces to prevent leakage and dampness.